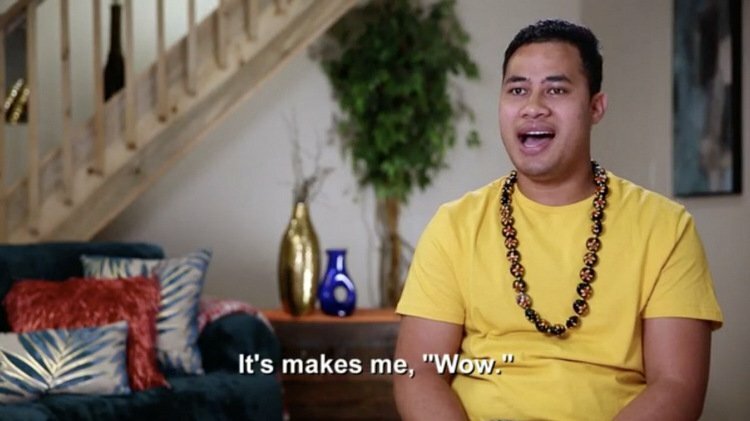 *Sigh* My deep, abiding love for Asuelu grows with every passing scene, and my heart will simply NOT be able to take it if Family Kalani comes for this man child! Before we get to the torture of watching Father Kalani rip into his would-be son in law (and Larissa rip into anything in her general vicinity) let’s review the other car crashes already in progress on last night’s 90 Day Fiance, starting with Eric and his bride to be, the insufferable PUT IT IN PROPER! Leida. Leida, Reina, Eric, and Alessandro head to Philadelphia for a day trip to ease the pain of sleeping in the roach infested rat trap Eric rented for them. Eric keeps reminding us that Leida’s family has money and he does not – but he hopes no one will catch on? WTF is this dude thinking?!? Leida tells Reina that she’s still not certain about Eric, but it seems like her heart is set on living in America no matter what fresh hell awaits her in Baraboo. Last night’s 90 Day Fiance threw me for a loop. I found myself thinking, “Aww, these two are crazy kids just might make it!” more than once. WHO AM I? 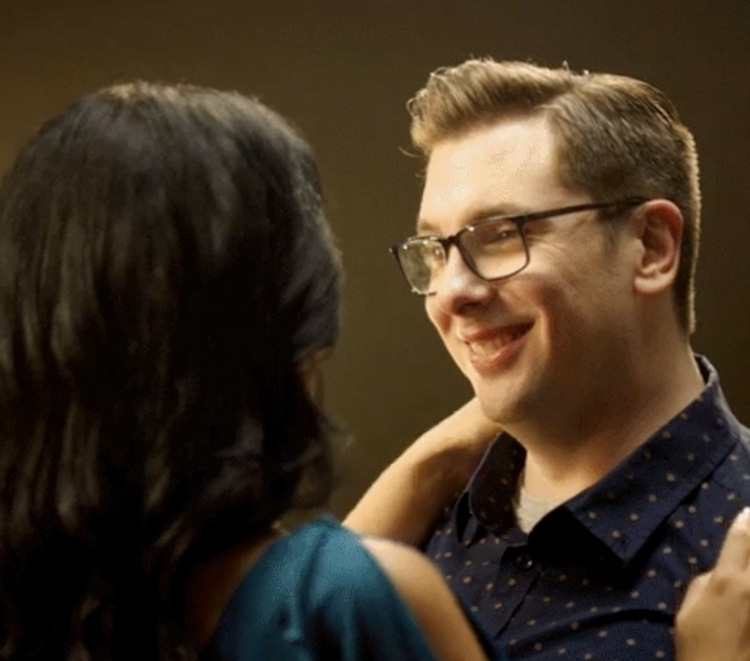 I don’t know if TLC is frauding us or not (hey – someone call Danielle to get her on the case), but there were more than a few tender moments this week that left me wistfully imagining that all might be okay in some of these fools’ lives. Then of course, Larissa and Leida landed, and we were immediately brought back to our senses. Thus, the trainwreck continues on its collision course, no matter how many beautiful vistas we see out the window on the way. Before we get to those crazy chicks, let’s review the newest couples of the bunch: Steven & Olga Steven is a 23-year old beach bum who couch surfs at his friends’ houses and works as a waiter to support his skateboarding lifestyle. (Put that on a Tinder profile and watch the ladies swoon.) Although he made some dumb mistakes in the past, Steven says his days as a graffiti hooligan and ladies’ man are over. Why? Because he accidentally knocked up a Russian last summer! Natch. Reality is about to set in for a few of the couples on tonight’s 90 Day Fiance. After being introduced to our players last week, we’ll see the progression of their K1 visa journeys tonight when some of the couples are reunited – and one new American begins his journey abroad! Olga, from Russia, is pregnant by 20-year old Steven. Their summertime tryst in Ocean City, MD, turned into a lifetime commitment when – after spending only three months together – Olga became pregnant. Now Steven, who works as a waiter and couch surfs at his friends’ apartments to get by, plans to travel to Russia to witness the birth of their baby and decide whether he and Olga will pursue marriage via a K1 visa. Last night, we met five of the six couples who will take the 90 Day Fiance plunge for season six of the TLC hit series, with Steven and Olga waiting in the wings until next week to make their debut. But we had more than enough cringeworthy footage with the five couples TLC served up, so take heart! I mean, after you see a grown man feeding a cat its treat, mouth-to-mouth, do you really need anything more in your life? (Well, besides some ginger ale and a bucket since you just likely threw up everywhere…) No, you certainly do not. Besides that gem of a scene, we were served up some seriously insane backstories on all five of our star crossed lovers, so let’s recap their questionable life choices, one by one. Settle in…this is gonna be a long, strange trip. 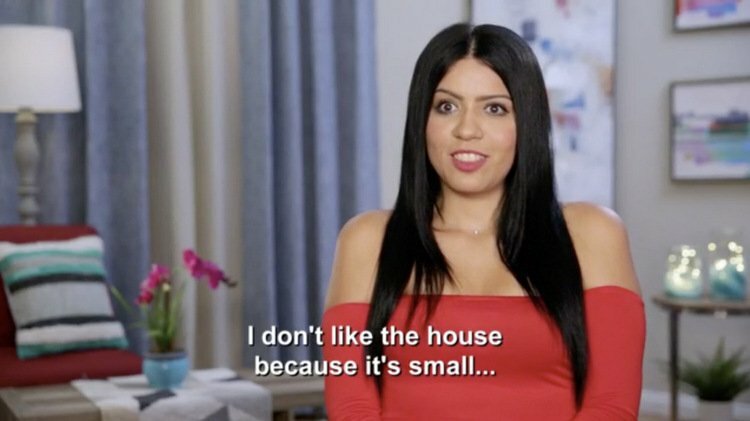 If you’ve watched 90 Day Fiance since the beginning, you know we’re in for a treat this season. And if you’re new to the franchise that put TLC on the map, then welcome to the crazy train! It’s gonna be a wild ride. Season six of the anchor show that started it all, the original 90 Day Fiance, launches its premiere episode tonight, introducing six new couples who have serious problems with life skills and romance. The concept is simple: Americans searching for love abroad find someone to propose to, then bring them to the U.S. on a K1 “fiance” visa. After their foreign fiances land in the country, U.S. law dictates that the couples have 90 days to officially wed – or the foreigner is deported home. What happens in these 90 days is nothing short of BONKERS, thus a show filled with insane levels of dysfunctional drama unfolds. Are you ready? Let’s meet the couples. The latest to get arrested is Jonathan “Jo” Rivera, father to Kailyn Lowry‘s son, Isaac. Jonathan, 19 and his brother Edward, 23, were pulled over by cops last Wednesday in Lopatcong, Penn, when they noticed sparks coming from the undercarriage of their car. Both men were eventually arrested for being under the influence of marijuana. 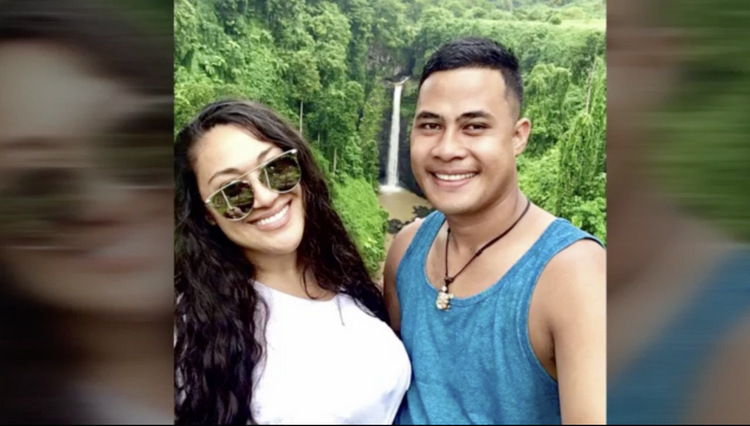 His elder brother was also charged with driving under the influence of marijuana, driving with a suspended license and driving an unsafe vehicle. In other Teen Mom news, RadarOnline is reporting today that Amber Portwood is currently experiencing another pregnancy scare. Amber, 20, has reportedly tested positive at least three times during home pregnancy tests in recent weeks, which has her friends and the potential baby daddy convinced she is pregnant again. TELL US – WHAT ARE YOUR THOUGHTS ON JO’S ARREST & AMBER’S PREGNANCY SCARE? If you thought the whole Teen Mom phenom was over, think again! MTV has now announced the all new cast of Teen Mom 2! The new season with the new cast is set to premiere January 11 on the network. The new cast includes 4 of the girls from the latest season of 16 and Pregnant. Above is one of the cast members Leah Messer, a bubbly cheerleader who had only been dating her boyfriend Corey Simms for a month when she discovered she was pregnant with twins! Leah is now 18-years-old and proud mom to Aliannah and Aleeah, 12 months. Leah and baby daddy Corey however broke up after she cheated with an ex. And fret not as the original Teen Moms aka Amber, Farrah, Maci, and Catelynn are still returning for a third season. The remaining cast photos and bios below of the new Teen Moms below. In other Teen Mom news, a day after two national magazines (Star and In Touch Weekly) reported she was pregnant, Amber Portwood is now denying the news. CLICK CONTINUE READING BELOW TO SEE THE PHOTOS AND BIOS OF THE TEEN MOM 2 CAST!